Jackson Hole is a valley amidst magnificent mountains in Wyoming, USA. Thanks to its generous landscape and weather patterns, there are quite a few ski resorts at this destination and its surrounds. Situated in Teton Village you’ll find Jackson Hole Mountain Resort, a challenging spot which is renowned for its abundance of steep ski terrains and long runs. In the town of Jackson itself there is a resort called Snow King, which is set apart from the rest by offering skiing opportunities in the evening as well as some fun snow tubing. Again, there are a number of other resorts in the vicinity, but what you can generally expect from a ski holiday in Jackson Hole is explored more in-depth below. Your choice of accommodation is by no means limited, so it will depend greatly on how you plan to spend your time and what your top holiday priorities are. 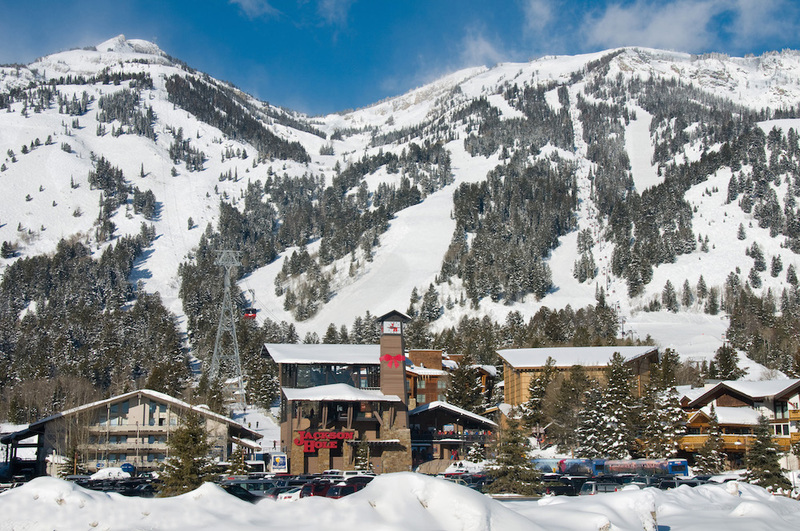 If you’re a winter sport aficionado who wants to do little other than hitting the slopes, you should opt to stay right at the base of the Jackson Hole Mountain Resort. On the other hand, if you would prefer to be closer to shops and restaurants, it would be a better idea to stay in the town of Jackson. Just keep in mind that you’ll have to hop on a bus to travel to the slopes in that case. The last option is to stay halfway between here and Teton Village, so you can take advantage of some benefits of each. Actual accommodation types are varied. You can choose between anything from upmarket hotels, to private condos and affordable hostels. 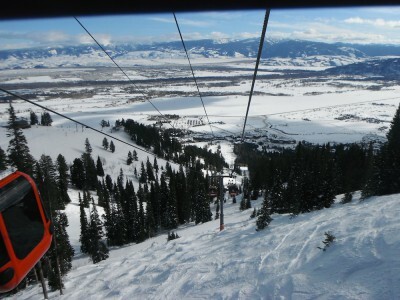 Jackson Hole Mountain Resort’s ski runs are remarkably long and, apart from this, it’s renowned for being a demanding terrain. Having plenty of off-piste slopes and powder to explore, this is a destination that is thoroughly embraced by experts. If you had to split it up, you would find that around half of the area can be dedicated to advanced skiers, while the other half is comprised of 40% that’s more suited to intermediates and 10% for beginners. So indeed, there is plenty of ski terrain here that’s perfect for those with some ski experience. Don’t let this fool you into thinking that the terrain is only for the advanced, however. The sheer size of the available ski grounds means that you could have more non-advanced territories to cover than many ski resorts are made of in totality. You can also opt for some lessons to help you out until you’ve gained the confidence you need. 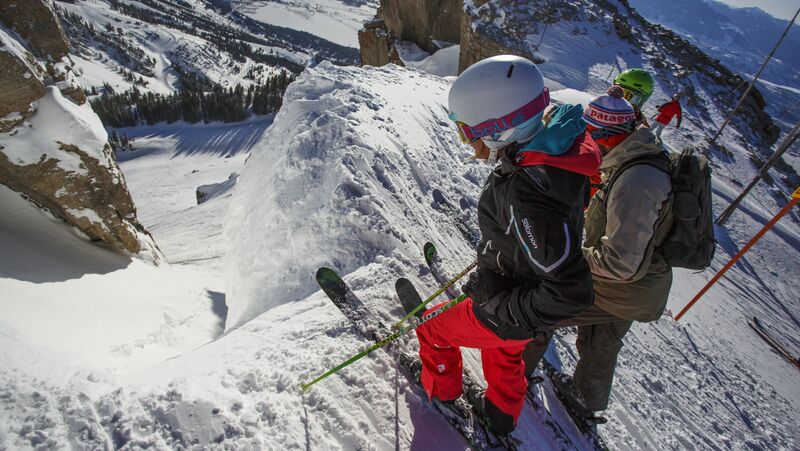 Overall, Jackson Hole is a beautiful location with plenty of opportunities for skiers who want to dare themselves to a new challenge wherever possible.